When the Israelites were going to possess the Promised Land, God said, “Little by little I will drive your enemies out before you, until you have increased enough to take possession of the land” (Exodus 23:30). God started small, slowly decreasing the enemies because He wanted His people to go big. He wanted them to grow their own capacity to be able to handle what He was going to give them in the future. He didn’t want the land to overtake them. He wanted them to overtake the land. God was increasing them incrementally throughout their journey. God wants to increase us, but oftentimes we overlook the small things because we want to go big. Remember, a majestic oak tree starts with a small seed. What you’re facing today may seem bigger, stronger or more powerful than you can handle, but don’t be intimidated—the Creator of the universe has put His favor on your life, and you cannot be defeated! Visit https://joelosteen.com to receive daily updates and encouragement from Joel Osteen. Have you followed Joel Osteen on Instagram? https://instagram.com/joelosteen. God wants to show you an abundant increase of favor, but if you’re not releasing your faith, it will limit what He can do. That’s why Joel wants to teach you in this empowering message how to develop a favor mentality. In this inspiring message, you will be reminded that nothing that comes your way in life is too much for you. When you stay in faith, God will cause all things to work out for your good. The “seventh year” is when you break free from limitations that have held you back — debt, lack, sickness, insecurity, addictions, depression, constant struggle (Deuteronomy 15).You will take a deeper look at this seventh year and what it means for today. This is what God spoke through the prophet Isaiah: “Forget the former things; do not dwell on the past. See, I am doing a new thing! Now it springs up; do you not perceive it? I am making a way in the wilderness and streams in the wasteland” (Isaiah 43:18-19). In this message, Joel will remind you of the importance of having a bold obedience. With every act of obedience, there is a blessing attached. In this message, Victoria will show how to have a winning attitude with our family members. The Scripture says, “Let us consider how we may spur one another on toward love and good deeds” (Hebrews 10:24). If we’re going to create the life that we want to live with our family, we have to keep the tone of a winner. We’re going to celebrate in the good times, and we’re going to keep that winning spirit in the difficult times. I believe that if we will maintain that consistent tone, we’re going to have a great life not only for ourselves but for our families! In this uplifting message, Joel wants to give you the tools to move forward in confidence into your bright future God has in store. He will show you biblical principles on how to let go and quit reliving the past so that we can receive the new things God wants to do in our lives and move forward into His blessings and goodness. In this message, Joel will explain that whenever you do something great for God or "do business in deep waters" you will face attacks. It's very easy to get discouraged. Instead give your battles to God and let Him fight for you. In this message, Victoria will inspire you. God wants us to show up strong with encouragement for other people. The Scripture says, “But encourage one another daily, as long as it is called ‘Today,’ so that none of you may be hardened by sin’s deceitfulness” (Hebrews 3:13). To encourage means “to impart courage, to make fearless, to make brave.” God is saying that if we stand together like the defensive line on a football team, we will stand victoriously against the enemy’s deceit and discouragement. In this message, Joel reminds us that God is our greatest vindicator, and He wants to make all our wrongs right! He promises us in Isaiah 61:7 that He will pay us back for every injustice. In this message, Joel wants to show you that as you trust God, you will never lack any good thing! God has given you exactly what you need right now for the season that you’re in. In this message, Victoria will explain when you’re in emotional pain, it’s easy to shrink back in fear and allow an emotional limp to become a stronghold in your mind—a wrong way of thinking. The last thing you want to do is to step out in boldness or put yourself in a position where you can get hurt again. But you can’t allow a painful experience to trick you into thinking you’re going to have a painful life. If you find yourself shrinking back because you’re afraid you’ll be hurt again, you have to understand that God can heal what hurts! He is the mender of broken hearts. In this message, Joel will remind you of the power of your confession. Psalm 107:2 says, “Let the redeemed of the Lord say so.” It doesn’t say let the redeemed think so, believe so or hope so. You’ve got to take it one step further and say so. In this exciting message, Joel reminds us of the powerful verse in Exodus 34:10, “I will do great things that I have never done before anywhere on earth.” This means God is going to show you favor in ways you never imagined. It’s going to be unprecedented, out of the ordinary, unlike anything you’ve ever seen. In this message, Joel reminds us about the power of a life lived with integrity. Integrity is the foundation that a successful life is built on. God is looking for people who are willing to live at a higher standard. Often, challenges in life are integrity tests—will you compromise when no one is watching; do you live differently behind closed doors? A life of openness and honesty is a life that God can bless. When you live with integrity, God can trust you with great things. Proving your character begins in the small things—in how you talk to your family, how you honor your commitments, the way you spend your time at work. Make the decision to live in complete integrity. In this message, Joel will explain that our job isn’t to change people. Learn to accept that God is the one directing their steps, making them and molding them into who He wants them to be (Isaiah 64:8). When you rise up and tell the past, tell the poverty, tell the guilt, “It is finished! This is not who I am. I am blessed. I am prosperous. I am victorious,” strongholds are broken in the unseen realm, chains are loosed, and favor is released. In this message, Joel will remind you of the powerful hedge of protection and provision God has placed around your life and those you love. God has placed a destiny frame around your life! There’s no mess you’ve made that He can’t help you clean up. In Jesus, you are made right with God. There is nothing that God cannot do for you through Jesus Christ. There’s nothing on the inside of you that would make you distant from God. He loves you just the way you are! In this message, Joel wants to remind you—in the natural, all you may see is your troubles and obstacles, but take another look. The Most High God is surrounding you! Psalm 91:11 says He will command His angels to watch over you. God stands watch over your life. You’re surrounded by favor, surrounded by healing and surrounded by angels. We all go through some fiery furnaces, but the fire is not the end. The only thing it’s going to burn off is what’s holding you back. Learn how to stay in peace knowing the forces that are for you are greater than the forces that are against you. In this exciting message, Joel will teach from the powerful passage in Deuteronomy 28 which explains that when you walk in God’s ways and make pleasing Him your highest priority, then His blessings will chase you down and overtake you. In this message, Victoria will explain that our love should have wisdom. Our love should see beyond the superficial. Our love should be smart and thoughtful. Love doesn’t wait for things to happen. Love builds relationships. Love serves. Love gives, and it doesn’t just give what it wants to give. Love is willing to look into a situation and give what is needed. In this message, Joel encourages you not to give up on the promises that God put in your heart. During seasons of discouragement, when you are tempted to try to manipulate or force God’s promise, choose to remain in faith. Nothing that you have done has disqualified you from receiving God’s promise—His mercy is greater than any mistake. God’s timing is always strategic. If you haven’t yet received what God has promised, know that He hasn’t forgotten about you and He hasn’t abandoned you. He is positioning you to receive the God-sized promise that is often even greater than what you have asked for. Even if you find yourself outside of God’s timing, He is merciful to re-align us with His plan the moment we ask. Remain steadfast in faith as God works behind the scenes. In this message, Joel will teach you about the power of God's amazing grace in our lives. It doesn't matter what you've done or where you've been, God's grace is waiting for you to begin again. In this message, Victoria will explain that the God has has called us to always show respect to others. The Scripture says that “God anointed Jesus of Nazareth with the Holy Spirit and power, and…he went around doing good and healing all who were under the power of the devil, because God was with him” (Acts 10:38 NIV). He was empowered to do good. And in doing good, He brought healing everywhere He went. The good news is that you and I have been anointed to do good as well, whether we feel loving or not! We’ve been empowered by the Holy Spirit to bring healing to people and to promote the good news of Jesus Christ! In this message, Joel encourages you to develop relationships with people who will propel you into your destiny. Whenever you are connected with people who are living out the dreams you have for your life—who are successful, who are blessed—your vision for your life will begin to expand. You will be called higher. Sometimes, you will have to let go of old relationships, of old habits and mindsets that are keeping you limited if you are going to reach all that God has for you. Be encouraged during these times. You are making room for what God wants to do. You are rising higher, you are moving towards your destiny. Surround yourself with people who will challenge you, who will not allow you to remain in mediocrity. You are an eagle, designed to soar above the crowd! In this message, Joel will give you practical, biblical tips on how you can enrich your family unit and create a healthy, happy home. Family is the greatest gift God has given us. In this message, Victoria will teach that everything we do produces a seed and leaves something for future generations. The Bible says in Matthew 5:16, "Let your light shine before others, that they may see your good deeds." See, people may not always hear your words, but they are going to observe your life. That is why it is so important to live a positive example before our children and families. We paint a picture with our lifestyles, and our children put their own frame around it. Remember, through your example you are investing in generations to come. Let's leave stepping stones, not stumbling blocks, and build a lasting legacy of faith. In this exciting message, Joel will show how God is a God of justice. Nobody can pay you back like God can pay you back. He has seen everything you’ve gone through, every person that did you wrong, every tear and every lonely night. God sees what’s unfair and He is keeping record. God promises in Joel 2:25 to repay us for all our troubles. It may not have been fair what you’ve gone through, but don’t worry, payback is coming. God is going to make up for the wrongs that were done. You’re going to come out of your situation and pain loaded with blessings and increase. Get ready; a double dose of blessings is headed your way! He’s not going to just bring you out, He’s going to bring you out with abundance. Get ready payback is coming. In this message, Joel will show a yoke is something that is a struggle or burden. The good news is that our God is the yoke destroyer (Isaiah 10:27). In this message, Victoria will talk about how In Genesis 1 the first thing that God says about you and me is that He created us in His image. Having His image and likeness inside of us was meant to be our source of strength and confidence. The question is, have you allowed the enemy and things that have happened to you distort the image of God in your life? You need to get your true image back! In this message, Joel will teach it’s easy to go through life trying to impress people, to show them that we’re strong, that we have it all together. But if you’ll humble yourself, empty out your pride, your fear, your doubts and get real, God will help you to grow. You’ll come up higher. In this message, Joel will encourage you that it’s time to activate your spiritual genes from your heavenly Father. Everything you need to live a blessed, full life is in you right now. In this message, Victoria will teach that everything doesn't have to be perfect before we enjoy life. Have you ever been planning something and wanted things so perfect but it didn't go your way? We want everything perfect that we forget why we're celebrating. Don't look at the speck. Let's step back and see the big picture. This holiday season, we're all busy. There's a lot going on. Make memories that will last and we can enjoy for a lifetime. It’s easy to go through life wondering how things are going to work out. But you don’t have to worry about your future. Your life is divinely orchestrated. God has determined the end from the beginning. He is behind the scenes not only directing your steps, but directing the steps of the people you need. He’s not just in control of your life, He’s in control of all your circumstances. You can live from a place of peace, knowing that nothing randomly happens. Your steps are divinely orchestrated. You can’t live very long without being injured and going through hurts and pains. Sometimes the wound heals up and you don’t have any sign that it ever happened. But there are certain injuries that are so severe, a cut so deep that when they heal up, the pain goes away, but they leave a scar. Maybe you have been scarred by a divorce, by what somebody said, by a mistake you made, or by a loss. Joel wants to show you how you don’t have to try to hide your scars or be embarrassed by what you’ve been through. You can be at peace with your scars. God is going to take your wounds and turn them into beautiful scars. Let your scars be a reminder of the grace and goodness of God. In this eye-opening message, Joel will reveal the principle of growth and the rewards that follow. Develop what God put in you, and He’ll take you further than you can imagine. In the Old Testament, God commanded the children of Israel to take time out of their busy schedule, several times of year, to remember the miracles; how he parted the Red Sea, how he brought water out of the rock, how manna came down from heaven. He wanted them to pause and remember the wonders he had done. So often we forget when we should remember. Sometimes, we remember what we should forget. Let's remember the good to strengthen our life. The Psalmist said, "remember what the Lord has done. I remember his marvelous works." What we are remembering is so very important in our life. Let's remember the good. God uses difficulties to do a work in us. We grow in the tough times. That's when our character is being developed. God will not allow a difficulty unless He has a divine purpose for it. Proverbs 19:11 says, "good sense makes one slow to anger and it is to one’s glory to overlook an offense." It does us no good to go around offended.There’s always going to be reasons to take an offense. The word offense comes from the Greek word which means bait. Sometimes that’s what happens to use with offense. It lures use into a trap. We get upset, frustrated, and bitter. Listen, don’t take bait. You can’t take the bait of offense and live in victory, joy, and peace. Shake off the any offense. Give it to God. Live happy, healthy, and whole. Waiting with expectancy means instead of worrying if God is going to answer a prayer, you’re thanking Him for working behind the scenes, talking like a miracle is just around the corner, and acting like the answer is on its way. The Scripture says that “faith is the substance of things hoped for” (Hebrews 11:1). Do you have a picture in your mind of what you’re hoping for? God designed hope to fuel your faith. Hope picks you up! The Scripture says that “we have this hope as an anchor for the soul” (Hebrews 6:19). It anchors you in disappointing times, in challenging times, in times of failure! If you keep your hopes up, faith will pick you up and move you to the fulfillment of the promise. God doesn’t remove every frustration in our lives. In fact, many of the things that frustrate us, God uses to grow us and take us to the next level. Joel will show you how to live in peace no matter your circumstance. You will learn how to deal with difficult people, let go of the approval of others, and run your race strong, focused, and unshakeable! The Scripture says in Psalm 46:10, “Be still and know that I am God.” As you learn to let go and let God, you will enjoy your life more and become everything He has created you to be! Many people lose their passion in life because there is nothing to remind them of their dreams, hopes and prayers. If you’ll have a big vision, God will not only do what you’re dreaming about, He will do more than you can ask or think. The scripture says in Romans 12, "do not be conformed to this world, but be transformed by the renewing of your mind." Our salvation on this earth starts in our mind. We're justified in our spirit, but we have to be sanctified in our mind. We have to set our mind apart from the old way of doing and being. God wants to pour out so much blessing that there will not be room enough to store it. When you honor God with your life there is a blessing God puts on you that gives you an advantage. It causes you to rise up when circumstances are trying to push you down. There is a force behind you, fighting your battles, bringing the right people, and opening doors you couldn’t open on your own. Find out in this exciting message how you have an advantage in life. You are God’s anointed. The blessing is stronger than any curse! Instead of saying negative “I Ams”, - “I am unfocused. I am never going to succeed”, say what God says you are. When you change your “I Ams,” your life will change for the better. The seeds of greatness God’s placed on the inside will spring forth. The writer of Hebrews says, “We inherit the promises of God through faith and patience” (Hebrews 6:12). You may not look like you want to look or be where you want to be, but don’t devalue the journey to get there. Don’t start thinking that the journey isn’t worth it. Don’t despise the process because you just want to get to the promises. Can I tell you this? The process is what builds your strength and develops you. The process is what makes you become what God’s called you to be. There’s nothing more powerful than your faith. When you believe, that’s what activates God’s power. Are you living with expectancy knowing that God is bigger than your problems, greater than that sickness, and more powerful than that addiction? Or, are you discouraged, thinking things will never change? It’s time to get your faith back; God is passing by. He has all power. You have to be more determined than what’s trying to stop you if you’re going to reach your potential. In this message, you’ll learn how to release your faith and reach out to God. Many people are waiting on God, but sometimes God is waiting on us to reach out and release our faith. Show God that you’re ready to be healed, ready to be free, ready to go to a new level with your expectancy. It’s time to believe and release your faith! People say, “My season’s coming. I’m just waiting on my season.” God has a purpose and a plan for today. Let’s not rush through it. Let’s not dread it. Instead, let’s say, “God, since this is where you have me right now, I’m going to embrace it. I’m going to be my best. I’m going to make the most of it." Did you know that the word worry comes from the Old English wyrgan, which means “to strangle?” If we let them, worry and stress literally choke the joy out of our lives. So how are you handling worry? Worry pulls us away from God’s power, but worship draws us to Him, and His presence changes us. We’ve all been through disappointments and unfair situations. Because of negative things of the past, even mistakes we’ve made, it’s easy to have the wrong image of ourselves. Too many times we’ve developed a slave mentality where we don’t pray bold prayers, we don’t believe for our dreams, and we don’t expect good breaks because we feel unworthy. But 1 John 3:2 tells us we are sons of God. Joel wants to help you gain a new vision and understanding of who you are, not thinking about what you were, what you’ve been through, or the mistakes you’ve made. When you realize who you are—a son and daughter of the Most High God— you’ll think differently and live differently as you expect God’s favor in your life. Joel and Victoria discuss topics and answer questions from Next Level Thinking, Joel's latest book. You can get Next Level Thinking now at JoelOsteen.com. Every day choose your attitude. Every day you can choose the way you see life. Choose today how you’re going to see your journey into the Promised Land. Something powerful happens when you remember what God has done for you. During trials and difficulties, you don’t have to live worried or afraid! You have a history with God. He’s brought you through in the past; He’s going to bring you through in the future. He was fighting your battles then, and He’s fighting your battles now. You will learn in this faith-building message how to go back over your history and see how God has brought you through. When you start thanking God for your past victories, faith will rise in your heart, and you will walk in confidence knowing God is in control of your life. You will find the encouragement to believe God again for another victory. Today I want to remind you that Jesus said, “I came that you may have life, and have it in abundance” (John 10:10). He came so that we could live an abundant live, an extraordinary life, an exceptional life. God wants you to be extraordinary in your thinking. He wants you to expect more, to strive for more, to go for more because when you’re the very best you can be today, your tomorrow will be better. God wants to reign in your life in a new way. He wants to show you his favor like you’ve never seen. But are you letting worry, offense, or a problem consume your mind to where you’re not giving God any thought? You see, what you constantly think about or give your attention to, is what you’re putting on the throne. Life is too short to live worried, overwhelmed by problems, and upset. This message will help you live more praise minded as you let God reign over your circumstances and fight your battles. If you will put God on the throne and let Him reign, then He will rain down blessings, favor, healing, and vindication. I want to remind you today to spend your time investing in your future, not in the past. Investing in the past is when you relive your pains and disappointments, focusing on who hurt you, what didn’t work out, and the mistakes you’ve made. That’s a waste of time and energy. You can’t do anything about what happened in your past—it’s over with. But you can do something about today. When you focus on what you can change, and not on what you can’t change, that is a good investment in the future. There’s a recording constantly playing in our mind telling us who we are. The problem for some people is their recording is negative. The good news is you can control your recording. Joel wants to show you how you don’t have to let negative thoughts keep playing. You can replace them with God’s voice of victory! Just like the negative gets down into your subconscious and holds you back, God’s voice of victory will push you forward. This message will help you pay attention to what’s playing in your mind. Don’t go through life being against yourself, focused on all your faults, feeling inferior, thinking, “nothing good is going to happen.” Learn to replace the negative with God’s voice of victory! You’ll be amazed at what happens in your life when you go through the day playing in your mind what God says about you. When you declare, “I am fearfully and wonderfully made. I’m a masterpiece, I’m one of a kind, I have seeds of greatness.” Your life will change in amazing powerful ways. Your seeds of greatness will flourish and you will become all that God has created you to be! The Bible tells us to constantly “be made new in the attitude of your minds” (Ephesians 4:23). We choose the way we see life, whether we will be grateful or negative about what we think is good and not good. Your attitude has a direct correlation with your success. Someone with a good attitude sees solutions and feels as though they can tackle anything. How you see your life makes all the difference in the world! God created you to shine, leave your mark, and make a difference in the world. Your gift isn’t just for you; it’s to share with the world. Are you hiding your gifts, talents and personality today because of fear? It’s time to let your light shine! 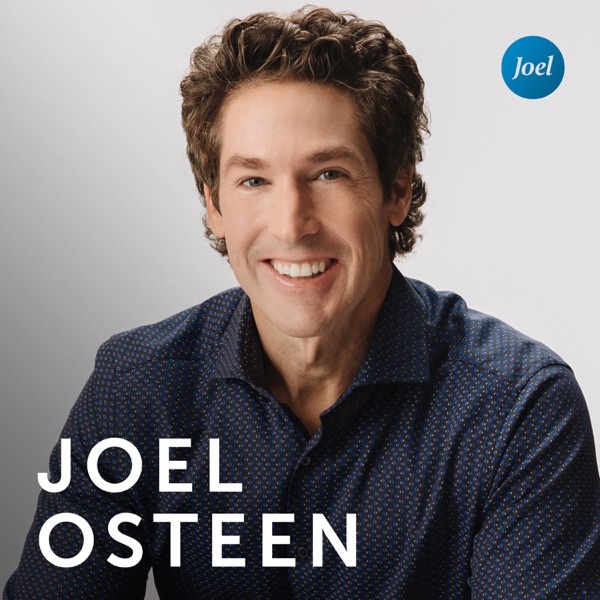 Joel wants to show you in this inspiring message how God has put gifts and talents in you and has given you dreams and goals that are unique to your life. God calls you a mighty hero and He will equip and increase you, but you have to do your part and step out. It’s easy to let fear hold us back: fear of failure, fear of what people are going to think, fear of the unknown. But if you’ll take a step of faith, God will step in and help you. This message will help you step out of the boat and be all that God has created you to be. We all have things that come against us and experience things we don’t understand. It’s easy to live uptight wondering how everything is going to work out. It we’re not careful, we’ll get discouraged, live worried, and not believe things are going to change. But there’s a simple phrase you have to get down in your spirit - God’s got this. Joel wants to teach you in this encouraging message that you don’t have to figure it all out. In the natural, you may not see a way, but that’s okay, we serve a supernatural God. He sees what’s happening in our lives and already has a solution. Instead of living frustrated, learn to let go and let God. When you turn it over to Him and say, “God, I know You’ve got this. I know You’re in control,” not only will you feel the heaviness lift off of you, but God will make things happen that you couldn’t make happen on your own. Joel wants to show you in this eye-opening message the conquering power of our God! Our God is a chain breaker. You were not created to be bound. It doesn’t matter how big of a struggle you may face, or how long something has held you back, time is not a limiting factor with our God. He is ready to release you today into wholeness, power, and victory. It is not your destiny to go through life with any limitations. It’s your time to be free. Before you were formed in your mother’s womb, God knew you. In fact, He’s already planned out all of your days. He didn’t create you to be ordinary, average, and to just make it through life. His world is big! His kingdom is abundant, full of favor, joy, peace and opportunity. Because you are His most prized possession, He’s going to take you places you have never dreamed. He’s going to open doors bigger than you can imagine! We all face opposition and things that come against us. It’s easy to get discouraged and give up on what we’re believing for. But Joel wants to excite your faith and show you how Hebrew 12:1 teaches us that all of heaven is cheering you on! When you feel alone and are tempted to faint in your mind and settle, you can look up and see through your eyes of faith that all of heaven is rooting for you. You’re not running alone! Let this message inspire you to persevere through your trials so you can leave a mark on the generation so that they can go even further in life. In Matthew 7:12 Jesus said, "So in everything, do to others what you would have them do to you." In light of Jesus' words, we need to carefully choose the words we speak to others because the truth is that we are going to be a product of what we say. We are going to eat from the fruit of our lips (see Proverbs 18:21). You can create the life you want with the words you speak. If you want grace to come to you from others, you have to extend grace. If you extend grace, grace will be extended to you. The Psalmist said in Psalm 56:9, “The moment you pray, the tide of the battle turns.” In the unseen realm, God begins to change things in your favor the moment you pray. But many times, when we’ve been praying for a long time for something, and don’t see anything happening in the natural, it can seem like God went on vacation and our prayers aren’t doing any good. Joel wants to show you that even when you can’t see behind the scenes, God is at work. He not only heard you when you prayed, but He took it one step further; He put the miracle in motion. Just because you don’t see anything happening doesn’t mean the answer is not on the way. The people that see breakthroughs and promises fulfilled are the people that keep praying, keep believing and keep standing in faith. This message will inspire and equip you to be one of those people! Make sure you like and follow on Facebook and Instagram for daily updates. Let’s be on guard every single day. The apostle Paul says, “Set your mind on things above, not on earthly things” (Colossians 3:2). That means to set your mind on the important things in life—the things that bring you closer to your destiny, that cause you to have a strong marriage, good relationships, and a great job. Set your mind to walk in integrity and lay aside every weight and sin that causes you to drift. Set your mind to honor God in all you do—big and small! Are you letting the little things steal your joy? We all have opportunities to get upset and go around frustrated each day. But in the big picture, most of the things that are upsetting us don’t really matter. Joel wants to teach you how to keep your joy no matter what goes on around you. Psalm 94:13 teaches us that God gives us the power to remain calm in times of adversity. We can’t control how other people act or what happens to us, but we can control how we respond. Don’t let the small things keep you from seeing the gift of each day. Live from a place of peace and joy each day and watch your life change for the better. Proverbs 17:9 says, “He who covers and forgives an offense seeks love.” You have to cover that offense. You have to forgive. It doesn’t belong to you. It didn’t originate with you. That offense came from that situation. It belongs to that person. It is not yours unless you take it in. It is only yours to forgive and to cover. The Scripture doesn’t say that offenses won’t come, but it tells us how to deal with an offense—cover it and forgive. The choice is ours. We can either seek and go after love or we can go after the offense. Psalm 35:27 tells us that God takes pleasure in prospering and increasing us in ways that we can never imagine. Yet, many people today live with a limited mindset expecting to barely get by when God has so much more for His children! Joel will show you in this exciting message how lack is not your destiny. You were created to live an abundant life. Let this message build your expectancy level for the exciting things God wants to do in your life. When you keep God first place, there is a blessing on your life that causes you to prosper, favor that causes you to increase, to rise higher and accomplish things beyond your own ability. You may be going through some difficult times right now, but hear this loud and clear. God says you are also blessed and highly favored. He has chosen you and put a seed of promise in you and given you an assignment that you need to protect. You need to get into an environment where it can grow, such as a good church where people know God and speak encouragement to your heart. Get His Word in you so that when you go out to birth what God put in you, you’ll withstand the challenges you’ll face. Protect what He’s given. Joel will encourage you in this message to live life outward. Who can you bless today? Who can you encourage with your gifts and experiences? Live life as a blesser, a lifter, a healer by using what you’ve been through to help someone else. You are where you are today because someone else poured into you. God is counting on us to be the difference maker in someone else’s life. If you’ll let healing flow to others and tell what God has done, speak life and healing, share your skills, talents and resources, then there’s no limit to how high God will take you. A lot of people live with a—I think He loves me—mentality when it comes to God's love for them, thinking His love is based on their performance. But God is not like people. People may love you conditionally, but God's love for you is unconditional. You don't have to earn God's love; He loves you just the way you are. There is no mistake great enough to cancel out God’s amazing love and His plans for your life. Let this message teach you about God’s amazing love for you. When you know God loves you, you’ll live life with more confidence and security, and you’ll become everything God created you to be! Paul prayed for the Ephesians “that God would grant you, according to the riches of His glory, to be strengthened with might through His Spirit in the inner man” (Ephesians 3:16). The inner man is strengthened by God through the Spirit. We have to take time; we have to find room in our busy lives to let the Spirit of God minister life to us, to be touched by the Word of God and the very presence of Almighty God because that’s what strengthens our inner man. We cannot neglect our inner man or we’ll be weak, undisciplined, and weary on the inside. Today I encourage you to develop your personal relationship with God on a daily basis. Make it a habit to renew and strengthen your inner man because that’s how your life will be transformed. God has placed His seeds of greatness in you. He has placed everything within you to fulfill every purpose He's placed inside of you. But James 2 teaches us that there is action we have to take on our part, that our faith without works is dead. Discover in this empowering message how we have to go after the things in our heart with an unrelenting passion. Learn about different heroes in the Bible who pressed past obstacles and found their healing and breakthroughs. Your will is one of the most powerful things you have. When you make up your mind that you're going to do something, and take the steps and do everything you can, God will breathe on your efforts and give you strength that goes beyond your natural ability. Finding contentment is a goal we should strive for every day. A lot of people get confused about the concept of contentment because they think it means they have to settle for where they are. However, there's a huge difference between being content and being complacent. When you are content, you are satisfied; you're full. It's not that you aren't pursuing your goals or striving to reach new levels, you are just able to enjoy where you are on the way to where you are going. Just as we have physical ears, we have spiritual ears where God speaks to us. Many times, God will speak things that contradict what we see with our eyes. That’s why we have to walk by faith and not by sight. In a drought, God will talk to you about rain. In lack, He’ll talk to you about abundance. When you feel insignificant, like you’ll never make anything out of your life, He’ll talk to you about greatness. When you get in agreement with God then you will become what He says about you. You will have what He says you’ll have! The Bible speaks a lot about our words. Proverbs 18:21 says, “The tongue has the power of life and death.” And James wrote, “Look also at ships: although they are so large and are driven by fierce winds, they are turned by a very small rudder wherever the pilot desires. Even so the tongue is a little member and boasts great things” (James 3:4–5). He recognized that although our tongue is a very small part of our body, it directs the course of our life for victory or defeat even when we’re in the midst of stormy, negative situations. Too often when we get in difficult situations, we forget the power that we have in our tongue and where it can lead us. You have to be strong with your words of faith as well as being strong in your thoughts. And the best way to get your thoughts to line up is to release your words of faith. Words reinforce what you think. Make God bigger than anything else that you see. There is a principle in God’s Word that says, “Give, and it will be given to you” (Luke 6:38). “Whatever a man sows, that he will also reap” (Galatians 6:7). When you do something for someone else—take them to a doctor’s appointment, pick them up when their car is broken down, call them, cheer them up, do something that no one else can do for them—God’s going to do special things for you. When we go out and make someone else’s day, we’re saying, “God, thank You for making my day” because when you make someone else’s day, God will make your day. When God sees you blessing others, He blesses you, and there are no blessings to compare with the blessings of Almighty God. So make someone’s day, knowing that God is going to make your day. You may have situations that don’t look like they’ll ever change, but God has already arranged good breaks in your future. All it takes is just one touch of God’s favor! Joel will show you how you can live from a place of peace and rest knowing that God is not only fighting your battles, but He’s lined up the exact situations you need in your life to bring you where you’re supposed to be. He has the right people that are going to help you already planned out. He has solutions to problems that you can’t even see right now. You don’t have to live life worried about how things will work out anymore because God has promised in Psalm 138:8 that He will work out His plan for your life. Instead, release your faith and trust Him. His plan is better than your plan! Do you feel forgotten today? Have you gone through situations that are so painful and hard to forget, you don’t know how you’ll ever feel light again? Like Joseph, God wants to bless you in such a way that you won’t remember the pain of the past. You may feel forgotten, but God hasn’t forgotten about you. He’s seen your heartache and has collected every tear you’ve shed. He’s going to turn your pain around in such a way that you’re overwhelmed with His goodness. God is going to cause you to forget! God’s love for us is relentless, and His grace goes to the most unlikely places and people. But just as God used Jesus to raise Lazarus from the grave, God is counting on us to run after the hurting and to go after the broken. It’s easy to judge others, but underneath the dirt, the mess and bad decisions, there’s a son or a daughter of the Most High God. God is counting on us to represent His love and redemption to those in need. They may be bound on the outside, but like Lazarus, on the inside they’re a person of destiny. They just need someone to help remove the grave clothes. Will you be that person? Take time to make a difference in the lives of those who desperately need it. As you live life as a healer, lifter and a restorer, the seeds you sow will come back to you. You will rise higher and overcome your own obstacles! Jesus said, “The words that I speak to you are spirit, and they are life” (John 6:63). When you get the Word of God in your mouth, you create a strong, spiritual life that will send you on the course to life. Your words will direct you beside still waters and take you to green pastures. They’ll lead you to refreshment for your soul. Let’s be very attentive to the words that we speak. Let’s remember our words are containers of power that can direct our course. We can prophesy our future. We all have the capacity to grow and produce more than we’re producing right now. We all can do more for God. We have so much more inside us! But you have to say, “No, I’m not going to let the flesh run wild. I’m going to put it under control with my strong spirit man.” Discipline and self-control are the tools that God gave you to succeed and to reach your full potential. Are you ready to give up on what you’re believing for because all you’ve heard is no? Well, it’s time to get ready because yes is coming! No matter who has said no or how many times a door has closed, God has already set a date to bring His promises to pass in your life. But there is one thing God needs from you, and that is your yes. Second Corinthians 1 says, “God’s yes and our yes together make a sure thing.”Let Joel teach you how to be determined in your faith like never before. Your faith will grow as you hear amazing stories from the Bible of men and women who dared to believe God for a yes and saw amazing breakthroughs. You, too, will receive your own breakthrough as you say yes with God! God wants to increase us, but oftentimes we overlook the small things because we want to go big. We may even think that we don’t have to deal with something small because it’s not going to make that much difference anyway. It’s easy to think that how we’re treating our spouse or all the complaining we do about our job doesn’t really matter. Perhaps there’s a lack of integrity, leaving the office early, thinking the boss isn’t looking. And on top of that, too often we think we don’t have the right education or the finances or the right people connections to achieve our dreams. All of that is small stuff, but God says what we believe and our attitudes are very important. The small things matter to Him, and if we don’t learn to handle the small, we’ll never go big. Perhaps you need to forgive someone or start being on time at work. That may seem small, but it’s only “little by little” that you can go big. You want a great marriage. You want that promotion. You have to do what’s right in the small things. Remember, a majestic oak tree starts with a small seed. It’s easy to feel discouraged when you’re in a dry season, especially when you don’t see how your situation will work out. But God’s not limited to seasons. His blessing can find you out of season. In this encouraging message, discover how God worked in the lives of those in the Bible in unusual ways. You will be inspired in your own life to trust that God can cause winds of provision and favor to fill your life with unexpected blessings that can change your life. Nothing is more amazing or significant than the power displayed at the resurrection. This is what separates our faith from any other on earth. Jesus paid the ultimate price for our sins on the cross. He lived a perfect and sinless life and gave it as a sacrifice for your sins and mine. And when all hope seemed to be gone, He miraculously came to life again. What this means is: When we accept Him as our Lord and Savior, we are completely forgiven...for anything...for everything...forever! Do you feel stuck or restricted today because of a past mistake, an addiction, a health matter you’re desperate to see change or a situation you can’t control? We all face limiting situations, but the good news is that God can overturn areas where we feel blocked from moving forward and living our fullest lives. Let Joel show you in this powerful message how God desires to deliver you from powerful enemies. Whether you’re battling an enemy of sickness, depression, fear, lack or struggle— get ready, God is about to judge in your favor. What has stopped you in the past is going to stop you no more. Let this message help you step into a new level of destiny and wholeness as you break past barriers with God’s help. The apostle Paul says, “If it is possible, as far as it depends on you, live at peace with everyone” (Romans 12:18). There is a place in your spirit that says, “I am a peacemaker, and because I am a peacemaker, I can trust God to fight my battles for me and bring the right outcome.” We have the ability to draw the line in the sand and say, “I’m not going to step over this line into strife and division. I’m going to make peace.” Let’s be instruments of peace because there’s a blessing in the life of a peacemaker. We all have people that have done us wrong. It’s easy to hold on to the hurt, be vindictive, and try to pay people back. But Joel will teach you how one test we all have to pass is not just forgiving people, but being good to those that have not been good to us. This is when you are the smile of God. You can trust God to be your vindicator and fight your battles. God is a God of justice. He sees every wrong, every hurt, and every tear. He has a way to make all of your wrongs right when you trust Him and keep your character pure. When you sow a seeds of kindness and forgiveness, you’re proving to God that He can trust your character. That’s when God will release more favor in your life. What is it that you want to accomplish? Proverbs 16:3 says, “Commit to the Lord whatever you do, and He will establish your plans.” You can’t do it on your own, but you’re not on your own. You can commit those important things in your life to the God who is committed to you! He is saying, “Focus on your commitments and believe that I’m going to help you bring them to pass.” You have to put your plans into action if God is going to help you. It takes steps of faith on your part. The way to develop an intimate relationship with God, a relationship where you hear His voice and let Him mold and make you into the person He wants you to be, is when you push away the distractions and simply sit at His feet. Perhaps you take a Scripture and just ponder over it and listen to what He is saying. Perhaps you sit quietly in His presence and say, “God, I love You today. Thank You for this day. Father, I want You to reveal more of Yourself to me.” Whatever that intimacy looks like for you, the only thing that will satisfy the needs of your soul and give vision for your life is to set yourself apart and sit at the feet of Jesus. Do you feel like the odds are against you today? Maybe you’re facing a difficult situation that doesn’t look like it will ever get any better. Or, you’ve prayed diligently for God to answer a specific prayer, but nothing is happening. Joel wants to open your eyes and show you in this message that something is happening. God is at work in your life and has a plan—His divine plan—to show out in your life and reveal His incredible favor and goodness in your life. But, you have to do your part and trust in God’s timing and plan. Release your faith, raise your expectancy and watch how God will miraculously turn your darkest hour into your greatest hour as the odds are shifted in your favor. When the Israelites left Babylon and returned from captivity, they didn’t know all the difficult things they were going to face. But if they could go out with joy, that joy would be there to keep them in peace. No matter what you face, don’t let life push your joy down. Push your joy up and let it flow out and signal your victory! There is a seat of rest that has your name on it, and it’s time for you to rest. Enter into God’s rest! Many people today live overworked on the outside with no inner peace on the inside. It’s easy to want to fix things on our own, but Joel wants to show you that you don’t have to live life doing things in your own strength. This message will teach you how to have an outer rest and an inner rest as you let God work in your life and fight your battles. As you learn to live from a place of rest, you will enjoy your life more and experience greater peace and power! If a good seed that is full of potential isn’t planted in good soil, it’s not going to become what it was created to be. In the same way, you’re a seed full of gifts, talents and potential, and you need healthy soil to bloom into everything God has created you to be. In this message, learn the importance and power of protecting your seed by choosing the right environment, friendships and mindsets. As you keep your environment healthy, you will flourish and become everything God has created you to be! Don’t focus so much on an area of your life that needs to change or on something you want to happen. Don’t make your plans around an unanswered prayer. God has new things springing up even now. They are springing up for you to have today. Can you see it? We all have times where it feels like God went on vacation. But Joel wants to show you how God uses those seasons of silence to get us prepared. When you’re hidden, you won’t see anything happening on the outside, but on the inside God’s doing a work within you. He’s creating an opportunity to grow, to get stronger, and to come up higher. You’re getting prepared to go to new levels. You may be in a season of silence right now where you feel like you’re hidden, but the silence doesn’t mean God has forgotten about you. He’s heard every prayer; He’s seen every tear. God is not preparing the blessing for you; He’s preparing you for the blessing. As you keep passing the test in the silent seasons, you’ll be prepared and ready to come into more than you can ask or think. You may feel stuck today or think that it’s just another year of doing the same thing. But Joel wants to show you how God has some I never dreamed blessings in store for you where God shows up and exceeds your expectations. Take a journey through the Scriptures and see how God had sudden blessings that instantly changed lives. You’ll be inspired to have faith again for the goodness of God in your life to exceed your expectations! We think ordinary, but God thinks extraordinary. What He has planned for you is bigger, more rewarding, more fulfilling than you’ve dreamed. Paul said in Ephesians 3:20, “God is able to do exceedingly abundantly above all you can ask or think.” God wants to do a new thing in you this year! It’s time to believe again. Many people think they need to change their lives before they can draw near to God. They need to clean up a few things. But we can’t clean up our own lives. We can’t bring the change God wants to bring in our lives. He had to come to us through Jesus, and He has brought us salvation through Jesus’ blood. Only Jesus Christ can change your life. When God laid out the plan for your life, He lined up everything you need to fulfill your destiny—every good break, person, solution and healing. God is not only strategically directing your steps, He’s orchestrating everything around you and has everything lined up. This message will help you stay in peace knowing you don’t have to force the doors in your life to open. You don’t have to make certain people like you. God will place the right people in your life who are supposed to be there. If you’ll stay in faith and not let negative voices and situations talk you out of it, you’re going to come in to what God has already set up. You won’t have to go after it, it will come after you. Do you feel overwhelmed today? We all have times when we feel like we’re surrounded by difficulties. It’s easy to get discouraged and think, “I’ll never get out of this trouble.” But Joel wants to remind you—in the natural, all you may see is your troubles and obstacles, but take another look. The Most High God is surrounding you! Anyone can give God praise when they’re on the mountaintop, but will you praise Him in the valley? Psalm 34:1, “I will bless the Lord at all times; His praise will continually be in my mouth.” That means in the good times and in the tough times. In this message, learn how to develop an attitude of gratitude regardless of the circumstances. As you do, you will experience God’s presence in your life in greater ways! When you delight in the Lord, you love what the Lord loves. You love the things that God loves. You want to do what God wants you to do. You want to go where God wants you to go. When you love God, your desires are for the things of God and you give yourself to them. The apostle Paul sums up what I’m trying to say: “The heart regulates the hands” (2 Corinthians 8, MSG). What is in your heart, you put your hands to. What you’ve allowed to form in your heart, you go after because you have passion for it. Your hands and your heart work together. What are you allowing in your spirit? The people you’re spending time with, what you’re dwelling on all day, the memories you’re allowing to replay— it is either inspiring you, building your faith, pushing you toward your destiny and dreams, or it’s limiting you. Joel wants to show you how to stay on course and keep your faith fed. Even in the middle of difficulties or after trauma and great trials, you can choose to feed your faith. The seeds of greatness waiting to spring forth will come out as you feed your destiny with the right things! We all go through seasons of struggle and difficulty but that’s not your permanent home. Just like oil is used to make things flow easier, God uses His anointing in our lives to make things lighter and simpler. Joel wants to show you in this exciting message how you’re coming in to an anointing of ease. When you come in to this ease, what used to be a struggle, will not be a struggle anymore. There’s going to be a supernatural grace, a favor that lightens the load and takes the pressure off. It may have been difficult in the past but get ready; God is about to make your life easier! Don’t let your own voice distort the voice of God. You need to shake off whatever’s trying to hold you down. You may feel weak, but your weakness can be turned into strength when you take hold of God. You may feel small like a mouse, but when you grab hold of God’s strength, you have the power of an elephant! With Almighty God, you are a courageous champion. Are you ready to see your life go to a new level? Then it’s time to walk in greater humility. It takes humility to overlook an insult, to let somebody else be right for the sake of peace, and to not have your way all the time. But if you want to have strong flourishing relationships, Joel will show you how to walk in greater levels of self-control and honor those God has placed in your life. First Peter 5:6 teaches us, “Humble yourself under the mighty hand of God, in due time He will exalt you.” When you walk in humility, you will see more of God’s blessings in your life! You’ll come into that due season where God does more than you can ask or think. There’s a battle constantly taking place on the inside between the two yous. The Scripture calls this the battle between the flesh and the spirit. We all face the temptation to give into our flesh, but Joel will encourage you to live powerfully in the spirit. You are not walking alone; God wants to empower you to live by His spirit each day. Philippians 2:13 says, “God is working in you, giving you the desire to obey Him and the power to do what is right.” Right now the Most High God is working in you. Instead of giving into weak, insecure, compromising you, you’ll be empowered to be the strong, disciplined, confident you! Instead of walking in negativity and discouragement, you’ll be empowered to live faith filled and have big dreams again. As you learn discipline to feed your spirit, you will step into a new season of growth and favor! Think about the simple things that you will do today and consider the possible effects. The truth is, we can’t see the ultimate effects of what we will do today any more than Bell saw what the telephone was going to become. But I can tell you that when you do the right thing today, you’ll have an effect that reaches further than you ever dreamed or imagined, and it could be for eternity! When God created you, He put in you everything you need to fulfill your destiny. In fact, you are completely equipped for the race that’s been designed for you. Let this message encourage you to embrace your uniqueness and to fully be everything God has created you to be. Instead of comparing yourself to others, you’ll be inspired to take a closer look at the gifts and talents God has given you so that you can honor God with the life He has given you! Be an extravagant giver of what you have. Have the mentality that says, “I’m never empty-handed. I always have something to offer!” And watch God take your little and feed a multitude. That’s extravagant giving! Have you been afraid to step out and do something new because you don’t know how it’s going to work out? Joel wants to show you how to let go of fear, and instead, take that new step relaxed and in God’s peace. Learn how to let go of the need to know all of the details of how it’s going to work out, and instead, trust God’s guidance in your life. Psalm 119:105, “Your word is a lamp to my feet and a light to my path.” God will lead you every step that you take. But first, you have to take that step before the next step is revealed. You can be a superhero for God. It might be a simple word of encouragement or just showing up with a broom or a hammer or a bag of makeup. If you will ask God to put that one person on your heart, I believe that God will do things in your life that you can’t even ask, think or imagine! Is there something you’ve given up on, or something that doesn’t look like it could happen now? Has it been too long, and you feel like you’ve missed too many opportunities? Joel wants to remind you to not give up! What God has started in our lives, He will always finish and bring to completion. But we can’t give up! It’s time to stir up the gifts God has placed inside and get your passion back. This message will help you stir up your faith and move forward again. God is about to wake up what you thought was dead. God is still going to do what He promised! What is it that you need to say yes to today? Is it, “Yes, God, I’m going to forgive those people who hurt me”? Is it, “Yes, I’m going to believe that You can bring good out of this difficult time and show me Your favor”? Maybe it’s, “Yes, God, I’m going to reach out to those people whom You’re asking me to reach out to even though I don’t feel like I have time”? What does your yes look like? It’s amazing what one kind word can do! Proverbs 18:4 says, “A person’s words can be life-giving water.” Proverbs 15:4 says, “A gentle tongue brings healing.” When we think of healing, many times we think of praying for people for healing. While that is one way, Joel wants to help you see how your words have healing power and why it’s important to speak the blessing over your family and children. Learn how you can change the atmosphere in your home and help break the chains that are holding your loved ones back. When you’re kind, encouraging and free with your compliments, when you don’t just think something good but your take time to verbalize it in the lives of those around you, not only are you being a healer, but you help others become everything God has created them to be. As you help others rise higher, God is going to cause you to rise higher! Did you know that bitterness can keep you from your destiny? The book of Hebrews teaches us that bitterness is a root that we must keep out of our lives. If you have a root of bitterness, it’s going to contaminate your life. Discover in this message how to keep a pure heart and why it’s important. You will learn that you can’t stop life from happening to you but you can choose how you respond. Even in unfair treatment and disappointments, you can trust God to be your vindicator and to work out His plan for your life. As you do, you’ll not only feel heaviness lift off of you, but you’ll begin to dream again. You’ll see the new things He has in store! Can you imagine a house fully wired with electricity, but with the main power switch turned off? It wouldn't make sense to live without power when it's available to us. When you make Jesus the Lord of your life, you become fully connected to your source of power. But you have to turn that switch on. Romans 10:19 says to believe in our hearts and confess with our mouths that Jesus is Lord. When you believe and confess the Word of God, you are activating God's power in your life. Do you like who you are? The strengths and the weaknesses? We all have areas where we need to improve, but many people go through life feeling wrong on the inside, not really liking who they are and dwelling repeatedly on their shortcomings. This type of thinking can limit the great things God wants to do and keep you from moving forward. Joel wants to help you get a new perspective of yourself and how God sees you. He loves you and approves of you just the way you are. Grow in greater confidence in who God made you to be! You are fearfully and wonderfully made on purpose with a specific purpose unlike any other person. God will even use our weaknesses to draw us closer to Him. You can experience God’s best today while you’re being molded and transformed on the Potter’s wheel. God designed hope to fuel your faith. The Scripture says that “we have this hope as an anchor for the soul” (Hebrews 6:19). It anchors you in disappointing times, in challenging times, in times of failure! If you keep your hopes up, faith will pick you up and move you to the fulfillment of the promise. When you’re in emotional pain, it’s easy to shrink back in fear and allow an emotional limp to become a stronghold in your mind—a wrong way of thinking. The last thing you want to do is to step out in boldness or put yourself in a position where you can get hurt again. Are you judging the rest of your life by the season you’re in now? Every person has unfair seasons, slow seasons, and discouraging seasons. But you have to remind yourself during these times, it’s just a season. It’s not the rest of your life. This too shall pass. Learn to stay in faith and keep the right perspective in adversity. Whenever you feel stretched, know you're in position to be propelled. God uses the difficulty to push us into new levels. The more you get pulled back, the more you’re going to shoot forward. The Bible says when believers dwell together in unity, “there the LORD commanded the blessing—life forevermore” (Psalm 133:3). It is only the love of God that brings people to the arms and saving power of Jesus Christ. God is saying it’s up to us to keep in unity and the bond of peace. Just like a pregnant woman’s water breaking indicates that she is about to give birth, when you face difficulties and trials, it's a sign you're about to give birth to something new. Joel will show you in this encouraging message how God uses our trials and difficulties to bring us to a new level. Without the water breaking, we would stay stuck where we are in life. We wouldn’t see the fullness of what God has in store for the future. The process of pain and loss may be uncomfortable, but the purpose is always worth it in the end. What you give birth to will be greater than anything you may lose. Let this message anchor your faith and give you hope during discouragement. His love for us never changes. Keep drawing close to Him. Let His love in and let it shine in your heart. Know that God is always drawing us, and no matter how long you've known Him, there are still higher heights and deeper depths to His love. There will always be something trying to get us to pull up our anchor of hope—bad breaks, delays, disappointments. In these tough times, when life doesn’t make sense, when your prayers haven’t been answered as quickly as you’d like, it’s easy to throw in the towel and give up, but you have to make sure to keep your anchor down and hope in the Lord. Let Joel show you how to have hope during all things in this empowering message. When you’re anchored to hope, God will make things happen that you could never make happen on your own. When you have your hope in Him, the scripture says you’ll never be disappointed. You may have some temporary setbacks, but when it’s all said and done, you’ll come out better than you were before if you don’t give up your hope! When we hear about a “self-made man,” it usually refers to someone who had very little and became wealthy and influential all on his own. Abraham, the father of our faith, also became wealthy, influential, and left an amazing legacy for the whole world, but his label reads a “God-made man.” Abraham wears the label “God-made man” because he willingly trusted God to take him to a land unknown to him, and he trusted God to make him fully into the person He created him to become. Abraham was not called by God because his faith was perfect. He was called by God because he was willing to follow and believe God, and along his journey he “was strengthened in faith” through God’s promise (Romans 4:20 NKJV). That is how Abraham became a “God-made man,” and that is how we become the same! Just be willing, and He will take and make you! As we go through life’s many seasons, it’s easy to grow tired and weary. But when we are weary, we don’t enjoy the greatest blessings in our lives like we should. Galatians 6:9 encourages us, “Let us not become weary in doing good, for at the proper time we will reap a harvest if we do not give up.” Find refreshment and motivation to keep on going and stay renewed and inspired no matter what you may be facing today. Discover how to have balance physically, spiritually and emotionally so you’ll have the strength to be a blessing to others and accomplish your life purpose full of peace and joy. In Genesis 1, the first thing that God says about you and me is that He created us in His image. Having His image and likeness inside of us was meant to be our source of strength and confidence. The question is, have you allowed the enemy and things that have happened to you distort the image of God in your life? You need to get your true image back! It’s easy to go through life trying to impress people, to show them that we’re strong, that we have it all together. But if you’ll humble yourself, empty out your pride, your fear, your doubts and get real, God will help you to grow. You’ll come up higher. Instead of accepting an addiction as a part of your life and allowing it to stay, you need to announce to that addiction: “It is finished! You don’t control me, and you can’t keep me from my destiny. The price has been paid. I am free. I am whole. I am clean.” When you rise up and tell the past, tell the poverty, tell the guilt, “It is finished! This is not who I am. I am blessed. I am prosperous. I am victorious,” strongholds are broken in the unseen realm, chains are loosed, and favor is released. We don’t have to work out our plans, make them happen in our own strength, or become frustrated when they’re not happening the way we thought. We can stay in peace knowing that the God who created the universe has promised He will work out His plans for our lives. Have you felt like giving up on something because it’s too hard or taking too long? Let Joel show you how to have faith for the middle. What God has placed in your heart is already in route. The process has already been started. The right people, healing and breakthrough are on the way. Your part is to have faith for the middle. Jesus said, “I am the Light of the world. So if you follow me, you won’t be stumbling through the darkness, for living light will flood your path” (John 8:12 TLB). Is He lighting your pathway, or is there something blocking the Light? It’s time to let the Light shine in. Don’t keep stumbling around in the darkness. Get rid of whatever is blocking the Light and let His presence shine on you and light your pathway to a blaze! Did you know that the word worry comes from the Old English wyrgan, which means “to strangle?” If we let them, worry and stress literally choke the joy out of our lives. Worry pulls us away from God’s power, but worship draws us to Him, and His presence changes us. So how are you handling worry? There are times in life that we all get tired: tired of trying to make a business grow, tired of dealing with a sickness, tired of raising a difficult child, tired of living lonely, waiting to meet the right person. Wait upon the Lord and hope in Him. Don’t give up when victory is right around the corner. God promises He will renew your strength. What’s a bucket filler? It’s a person who is making positive deposits of kindness and compassion in other people’s lives, someone who is adding value to their lives. Your words can be the glue that holds your relationships together when you speak positive, faith-filled words to others. A faultfinder is defined as “a person given to harsh judgments and to finding faults.” None of us want to wear that label, and none of us want to be around a faultfinder. But it’s so easy to see what’s wrong in a situation and what could be done better. It’s so easy to see what’s wrong with another person and how they could change for the better. Our natural minds tend to always gravitate to the negative, and it causes us to find fault. You can’t stop all the negative thoughts you have about people and situations, but you can stop giving those thoughts life by speaking them out. Don’t give it life! Don’t ruin relationships and situations! You’re never going to see the change you want by finding fault. So what should you do? God says, “Rejoice always, pray continually, give thanks in all circumstances; for this is God’s will for you in Christ Jesus” (1 Thessalonians 5:16–18 NIV). Let’s not be faultfinders. Let’s be those who pray and petition God for change with thanksgiving in our heart. We all have opportunities to give up on what we’re believing for and walk away from uncomfortable situations. But Joel wants to show you why it’s important to not give up on the promises God put in your heart or on the people placed in your life. Learn the importance of loyalty and faithfulness and how they tie into your destiny. Elisha received a double portion of Elijah’s anointing when he stayed committed until the end of Elijah’s life. In the same way, if you want to walk in the fullness of God’s blessing and receive everything God has for you, you have to stay committed to what God has in your life. All of us in some way have been wounded from the wrong doing of others. Many carry scars and deep wounds from childhood or from those closest to us. But Joel wants to show you how lingering pain and disappointment doesn’t have to hold you back anymore. The Good Father wants to pay you back for every injustice. Instead of staying stuck wondering why this happened, learn to call out to God. The Good Father will not only hear your call, but He’ll make more out of your life than you ever imagined. Luke 12:32 says, “It is your Father’s good pleasure to give you the kingdom.” Find out how the Good Father takes good pleasure in making your wrongs right. He takes good pleasure in giving you what people couldn’t give you. Life is too short to hold on to pain and past hurts. Have you been holding on to an offense that you need to let go of today? Let Joel show you how to turn your hurt over to God, and let Him and be your vindicator. It’s human nature to want to make your wrongs right, but God wants you to bless your enemies. Blessing your enemy is a test of your character. The sooner you learn to bless your enemies and be good to people that have not been good to you, the more room you give God to work in your life. Are you worried today or living frustrated because something isn’t happening as quickly as you want it to? We all have things we’re waiting on—a dream to come to pass, our health to improve, maybe we are waiting to meet the right person. It’s easy to grow impatient but Joel wants to show you how your times are in God’s Hands. Let this message teach you how to relax and live at rest knowing that God is unfolding His plan in your life. God calls us more than conquerors! We are not slaves to circumstances. We are not captive to our thoughts, but we can choose our thoughts and choose to think the thoughts of heaven. Are you living a life of peace? To live in peace is to live a life of rest. Hebrews 4:11 tells us to make every effort to enter into the rest of God. What this means is that we have to actively guard our peace. You see, life is full of peace stealers. Every day there are people and circumstances that can pull you out of rest. But Joel will show you in this message how to put up boundaries and not allow everything in. You’ll identify the peace stealers in your life and learn how to take care of your emotional energy. Even in the midst of difficulties and trials, learn how God wants to fight your battles for you! All you need to do is rest in Him! The good news is that God doesn't need you to put a filter on your life. He doesn't need you to download an app that makes you look better. He doesn't just call us when we are perfect or when we have ourselves looking just right. His acceptance isn't based on our performance. He calls us and loves us just the way we are. Has someone judged you, spread rumors or hurt you? Our human nature naturally wants to set the record straight and prove that those who’ve wronged us are wrong. But all this does is take up valuable energy and can keep us from being everything God has created us to be. Instead, God wants to be your defender. In Jeremiah 51:36, God says to us, “I will defend you. I will be your lawyer. I will plead your case.” Let Joel teach you how to let things bounce off of you. You don’t have to defend yourself. You have a defender. The Most High God said He will settle your cases. Live with more freedom, joy and peace as you let God fight your battles and trust Him to protect your reputation against every unfair word. God has a great purpose for your life! He has marked you as a person of influence on this earth. Just by you being the best you can be, you are making an eternal difference. You are part of God’s plan and you are helping to move the kingdom of God forward. At times, we can’t necessarily see our gifts and talents. We don’t understand how we can be used to influence others. I think about Moses in the wilderness for 40 years. He was raised as Egyptian but as a young man he made some mistakes and acted out of anger. He ended up fleeing to the wilderness where God appeared to him as a burning bush and said, “I have an assignment for you.” Moses was afraid and felt unworthy but God knew exactly who Moses was. He said, “I’m doing a work and I want you to lead it. I choose you to lead my people.” Moses literally pleaded with God. He didn’t think he could carry out the assignment. He was thinking about his past. He focused on the fact that he stuttered. He didn’t feel equipped at all. But God said, “I’ve been shaping you from the beginning.” Moses ultimately surrendered to God and God used Moses in a powerful way. Even though Moses couldn’t see what God had placed in His life, Hundreds of years later after Moses died they said, “Moses was educated in all the wisdom of the Egyptians and was powerful in speech and action” (Acts 7:22, NIV). That was a far cry from the way he saw himself! This is an excellent reminder to us that it’s up to us to mix our ability with faith and let God have His way even when we don’t understand how He can use us. We have to put one foot in front of the other and let Him lead us into His plans and purposes. You may not see what’s in you right now, but just like Moses, God does. He is at work in you! Remember, you are a person of purpose and influence and God is using you in powerful ways in the earth! Where we are in life is a direct result of someone’s unseen prayers. Behind the scenes, these intercessions have strengthened us in our times of need and lifted our faith when discouraged. Just as others have paved the way spiritually for us, God has placed people in our lives that need our prayers. Learn about the principle of standing in the gap for others found in Ezekiel 22:30. Your prayer can be the difference maker in someone’s life! As you pray for others, God will always make sure someone is praying for you. Did you know God has a commanded blessing for your life? When we honor God with our lives and do our best to keep Him first place, Deuteronomy 28:8 says, “The Lord will command the blessing on you.” God’s commanded blessing on your life will make things happen that you cannot make happen on your own and break barriers holding you back. Many people feel limited today by their environment, how they were raised, who they know, and what others have said about them. But Joel wants to show you that no person or thing has the power to change God’s commanded blessing on your life. With God’s commanded blessing, you’re going to go further than you’ve dreamed, accomplish more than you thought possible, and become all God created you to be. In the Bible, God instructed his people to put up memorial stones so that they and their descendants would be reminded of the good things He had done. What are you remembering today? I want to encourage you to put out memorial stones in your own life. Allow those remembrances of the good things God has done to shape your thoughts, strengthen your faith, and make a difference for future generations. Do you feel weighed down today in condemnation and shame from past mistakes? It’s time to make an exchange. Because of what Christ has done, you can walk in God’s mercy every day. Instead of living in regret, you can live in peace. You don’t have to sit on the sidelines of life and pay penance for your past mistakes. God has a gift of righteousness to cover you. Nothing you’ve done in the past is too much for the mercy of God. We have to “count it all joy” in trials and make the decision to find the good in everything that happens to us. Are you going through a difficulty today and wondering if God is there? Life is full of things we don’t like or understand. But God won’t allow a difficulty unless He’s going to somehow use it for our good. In this encouraging message, Joel is going to show you how to trust God in all things! You see, God can see the big picture for our lives. He promises in Romans 8:28, “All things work together for good to those who love the Lord.” Not some things, but all things. That means the pain, the loss, when a dream doesn’t work out, when a loved one betrays us, even in in our darkest hour, God has a plan. You’ll learn how to pray bold prayers and stay focused. No man controls your destiny; God does! There’s a scripture I love that says, “Those who hope in the Lord shall renew their strength.” Think about that for a moment. We all need strength. Have you ever thought about how strength is tied to hope? When you hope in the Lord, that means you have confident expectation that God is bigger than your problems. When you trust Him, that’s how your strength is renewed! It’s easy to go through life holding on to things that are weighing us down—guilt, resentment, worry and doubt. These things naturally come. The problem is that when we allow them in, they take up space for the good things that should be there. In this message, Joel will show you how your life is like a container that God created to be filled with joy, peace, confidence, creativity and much more! But if you allow worry in, it pushes out peace and all the good things God longs to deposit in you. Learn how to apply David’s prayer in Psalm 103:5 in your life—“God fills my life with good things. So that I stay young and strong.” Discover the condemnation and guilt tactics the enemy tries to launch at us and how to stay on the offense. As you empty out the negative in your life, God can fill your life with good things. He’ll give you beauty for ashes, joy for mourning, and you will have peace in the midst of any storm. There is always going to be reasons to take up on offense. The people that are around us are one thing but how about the people that you have never met. Think twice about taking any offense, we have to recognize whats happening when we are frustrated and when we are going in the circle of offense. We have to learn to drop it and let it go, the quicker we let go of offense the more free we are going to be. We cannot take debate of offense and live in victory, joy and peace. One test we all have to pass is being faithful in the ordinary days. Like clay spinning on the wheel, sometimes our lives can feel like we are spinning and not getting anywhere, like we’re just doing the same thing every day. It’s easy to feel like giving up and lose momentum when nothing is happening. But like that clay on a potter’s wheel, when it feels like you’re going in circles, something is happening that you can’t see. You’re growing. Behind the scenes, God is making and molding you, preparing you for where He wants to take you. But, you have to stay on His Potter’s Wheel and stay faithful! Even the great Bible heroes faced ordinary days and routine. Joel will show you that when you’re faithful in average days, then you will see exceptional days. You will learn to enjoy where God has you right now so you’ll never miss out on the new things God has in store! In the Old Testament, the only way to have forgiveness for sins was to sacrifice an animal. Without the shedding of blood, there was no remission for sin. But Jesus came and shed His blood as a final covering for our sins. Because of Jesus, we have freedom and forgiveness today! Yet many people are living with guilt and condemnation because of past mistakes even after they’ve asked for forgiveness. Do you need to let go of past mistakes and guilt today? Let this message remind you of God’s great grace for your life so that you can rise to a new level! Many of us want to move forward into the new things that God has for us, but the more time goes by, the easier it is to feel like we’re just waiting on God. The waiting period can be a time of preparation and transformation so when those new opportunities come we have the right mindset. The best way to transform and renew our mind is to study God’s Word. When we’ve been believing for dreams to come to pass for a long time or situations to turn around and don’t see anything happening, it’s easy to lose our passion and not expect things to change. But Joel wants to show you how a new season is coming! Let this message teach you how to live life with a fresh, new expectancy as you discover the importance of living life with an anticipation of the new things God wants to do in your life. Now is the time to stir up your faith! You are closer to seeing things happen than you realize. We all go through difficulties and things in life that we don’t understand. It’s easy to get discouraged and think, “Why is this happening to me?” But God uses difficulties to move us toward our destiny. Let Joel show you how nothing happens in life by accident. You may not understand it, but God wouldn’t have allowed it if it wasn’t going to work to your advantage. God is not going to stop every difficulty if there is purpose for it. But Psalm 89 promises us that He will steady us and make us strong. Discover that strength in this empowering message. God has given all of us so much to be thankful for. It’s very easy to take things for granted but we can learn to honor God by appreciating the blessings he gives us. When we learn the language of appreciation we’ll see the true value of what we have in our lives. It’s easy to trust God when things are going our way, but what about when things aren’t going our way? Are you frustrated or unhappy because something is not working out like you think it should? That’s conditional trust. Let Joel teach you how to have unconditional trust in what God is doing in your life. Psalm 138:8 promises us that “God will work out His plan for your life.” You don’t have to work it out. You don’t have to make it all happen in your own strength and fight all of your battles. God knows what’s best for you. Instead of living life frustrated, you can live contented and restful, trusting in God’s timing. We all go through times that we don’t understand. But Matthew 5:45 tells us, “Rain falls on the just and the unjust.” This means we are all going to go through night seasons and face difficult times. Joel wants to show you how to face these night seasons with hope and the right attitude. Our night seasons always lead us to the amazing things God has in store for our future. The Psalmist said in Psalm 112:4, “When darkness overtakes the righteous, light will come bursting in.” You can have hope during your darkest hours. Don’t let the night seasons convince you that you’ve seen your best days. You wouldn’t be alive if God didn’t have something amazing in front of you. Without the night seasons, we wouldn’t become everything we were created to be. Whether you are a mother or not, you can encourage, inspire, and invest in the lives of the people around you. Are you relying on what others say or don’t say for your value? Are you frustrated today because you don’t have the support from others around you? One of the greatest lessons in life is to learn that your true value does not come from people; it comes from Almighty God. Yet many people today rely on the complements, encouragement and approval of others to feel good about themselves and stay motivated. Paul said in Philippians 4:13, “I am self-sufficient in Christ’s sufficiency.” Let Joel show you who you are in Christ and how to go to Him for your value and self-worth. As you apply these biblical principles, not only will you live a more peaceful life, but your relationships will improve, too! Have you allowed the pressures of life to weigh you down to where you’re not laughing as much as you used to? Have you stopped enjoying life? While every person deals with stress and challenges, if we’re not careful, it’s very easy to one day look up and find that we don’t smile as much, we’re not as friendly, and the joy of life has disappeared. Joel wants to show you how you can live without heaviness no matter your circumstances. Let this message show you how to get your joy back. As you make this important shift, you’ll feel stronger, younger and fresher, and you’ll have the strength to finish your course with joy! Sometimes in life, we have to wait. We have to be careful to not allow the waiting to open the door to doubt and discouragement. We have to trust that God will get us to the right place at the right time. Today, I want to encourage you, no matter what you are waiting for, learn to wait well. Instead of worrying, turn your focus to the Father. Let patience have it’s perfect work. Trust that He is ordering your steps. Think about a butterfly coming out its cocoon. It takes time, it takes effort, it takes difficulty to get out of that cocoon but once it breaks out, it comes forth in such beauty. It’s ready, it’s poised to be able to fly. That’s what happens to us when we wait well. We become strong and beautiful, ready to embrace all God has for us. God told the Israelites in Isaiah 45:2 “I will go before you and level the mountains.” Joel will show you how the Most High God is going before you today and fighting your battles. Are you living worried, stressed out, trying to figure out how your situation is going to work out? The good news is that you’re not on your own. God is saying, “Trust Me. I have you covered. I know where you are and where you’re going.” One touch of His favor will turn that mountain into level ground. We all come to places in life where we reach our limits. You may feel like that today, or maybe there are obstacles you can’t overcome. The good news is that you’re not on your own. God is with you, and He is not limited by anything or anyone. You don't have to live life in fear or worried anymore because you don’t see how it’s going to work out. God’s ways are better than our ways. Under the open windows of heaven, God will cause you to accomplish things you couldn’t on your own. All you need to do is keep the faith. You will learn from Pastor Joel how being negative, complaining and living worried can limit God’s favor in our lives, but our praise causes the heavens to open and pour down like a flood. Our lives follow the direction of our thoughts. Not every thought that comes to mind is positive. Some thoughts are destructive if we dwell on them long enough. We need to recognize which thoughts are dragging us down and guard our hearts against them. One way to guard our hearts is to push out thoughts of negativity, fear, and doubt. Then we can begin to dwell on good things that lift our spirits. As we take control of our thoughts and turn them in the right direction then we’ll see our lives begin to change for the better. It’s easy to do life on our own and think we don’t need any help from others. But Joel wants to show you how you won’t reach your highest potential by yourself. God has ordained people to be in your life that will strengthen you, encourage you and push you toward your purpose. Hebrews 10:25 says, “Forsake not the assembling of yourselves together.” Together we’re better, stronger, smarter, and more powerful! Don’t waste another year doing life solo. The scripture says, when we come together in unity there is a commanded blessing. You will become everything God has created you to be when you connect with others in an atmosphere of faith. Are you ready to give up on what you’re believing for because all you’ve heard is no? Well, it’s time to get ready because yes is coming! No matter who has said no or how many times a door has closed, God has already set a date to bring His promises to pass in your life. But there is one thing God needs from you, and that is your yes. Let Joel teach you how to be determined in your faith like never before. Your faith will grow as you hear amazing stories from the Bible of men and women who dared to believe God for a yes and saw amazing breakthroughs. You, too, will receive your own breakthrough as you say yes with God! God is not ashamed of you; He knows everything about you, and He's reaching out to you with love.